First introduced as an evil extraterrestrial invader in 1960, Groot has come a long way. After being reintroduced in 2006 as a benevolent character, Groot joined the Guardians of the Galaxy and formed a close bond with Rocket Raccoon, one of the only creatures capable of understanding the nuances of his language. 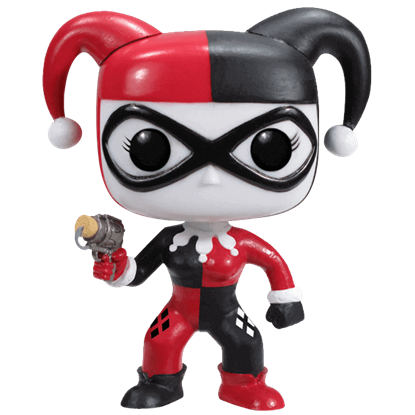 Able to regenerate himself from the tiniest sprig, Groot has become a fan favorite since his appearance in the 2014 Guardians of the Galaxy film. 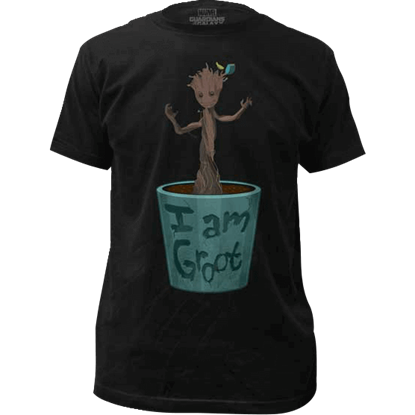 At Superheroes Direct, we provide these fans with a large variety of Groot gear. 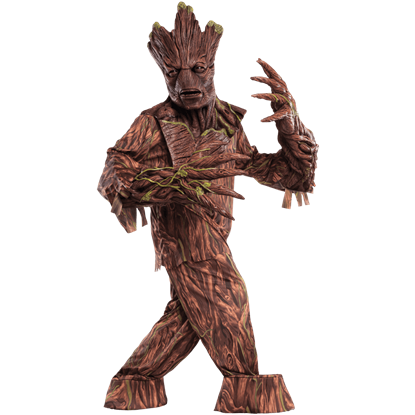 We offer masks, gloves, and other costume items perfect for diehard fans looking to complete their Groot transformation, while our Groot t-shirts, featuring this sentient tree with his friends in action poses as well as in his sapling form, are perfect for more casual wear. 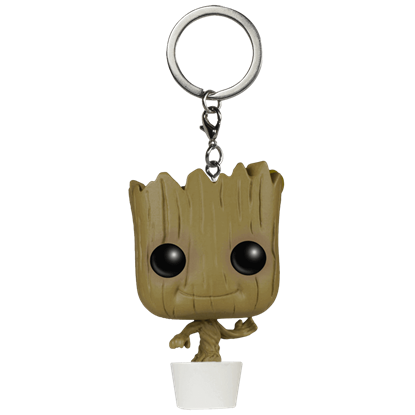 Collect our POP figures and keychains to carry a little piece of Groot with you wherever you go, and our Groot drinkware, tins, playing cards, figures, and pins make the ultimate edition to any Guardians of the Galaxy collection. 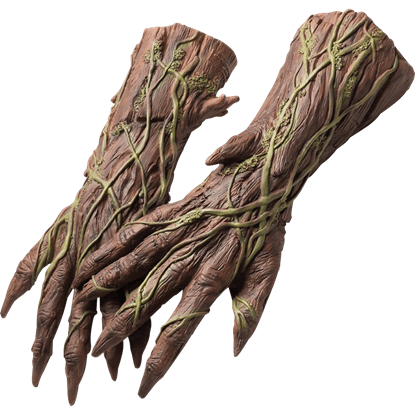 Have fun saying I AM GROOT to your friends when you add the Adult Deluxe Groot Hands as part of your costume. Show your love for this heart-warming Flora Colossus by dressing as Groot from the Guardians of the Galaxy movie. 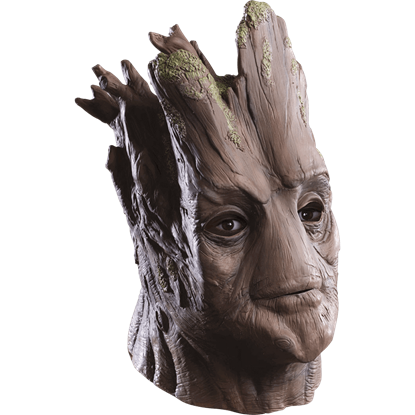 You may be tempted to say I AM GROOT and really mean it when you wear this fantastic mask as a part of your next costume. Dress as this heart-warming Flora Colossus with the Adult Deluxe Groot Mask to give your ensemble a fun look! I am Groot, says the one of the Flora Colossi from Planet X. Groot is an extraterrestrial who resembles a tree and joins the Guardians of the Galaxy. Wear this Adult Groot Creature Reacher Costume and celebrate this unique hero. You really will be saying I AM GROOT when you make this fantastic mask a part of your next costume. 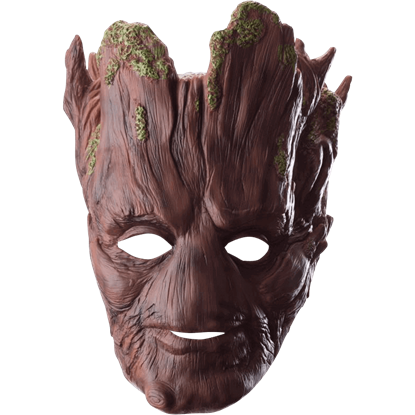 Role-play as your favorite Flora Colossus with the Adult Groot Mask to give your ensemble an eye-catching look! One of the most memorable scenes from the 2014 Guardians of the Galaxy film came at the end, when baby Groot tried hiding his dancing from Drax the Destroyer. Bring this iconic scene into your wardrobe with the Dancing Groot T-Shirt! The catchphrase I Am Groot has become incredibly famous since the release of Guardians of the Galaxy in 2014. 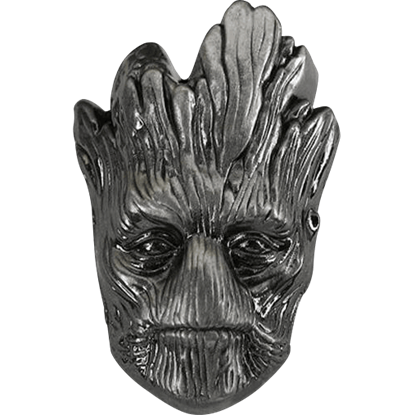 Now, with the help of the GOTG Groot Lapel Pin, you can show the world that you are Groot without having to say a word! 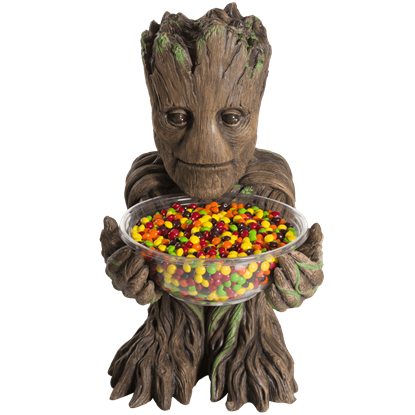 Lending new meaning to the term Giving Tree, the Groot Candy Bowl holder displays this unlikely alien hero offering up a bowl held in its limbs, great for serving and displaying favorite small treats or trinkets any time of year. While Toddler Groot may be tiny in stature and childish in nature, the growth rings found on this tree alien reveal his true age. 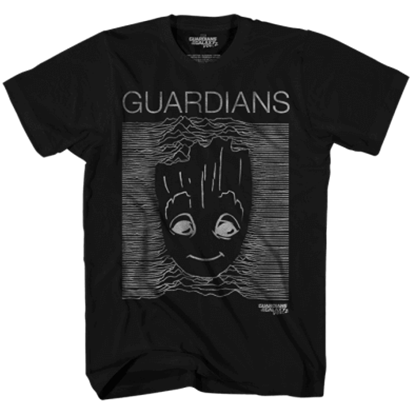 Celebrate the big screen return of your favorite Flora colossus by wearing the Groot Division T-Shirt. Is that grumpy frown a refusal to take a nap, or is he disappointed that there are no buttons for him to push? Who can really say? 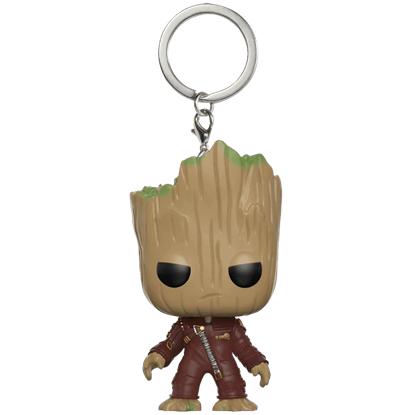 Regardless, there is something extra adorable about the Guardians of the Galaxy 2 Groot POP Keychain. While there is no denying that this superhero is adorable, his tendency to push buttons makes him a formidable foe. 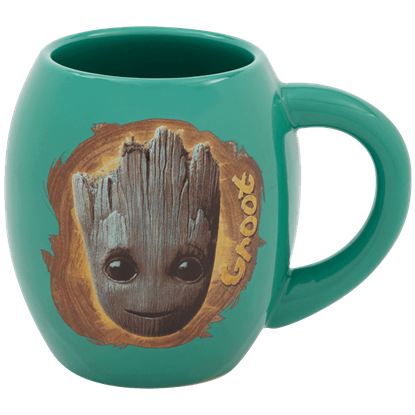 Celebrate the tiny Flora colossus and enjoy a fresh cup of coffee with the Guardians of the Galaxy Vol 2 Groot Oval Mug.